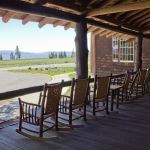 Lake Lodge Cabins features a main lodge with a large porch offering a spectacular rocking chair view of Yellowstone Lake. 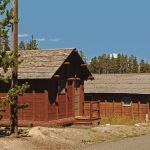 The main lodge is constructed of logs and is the focal point of this classic and comfortable building. 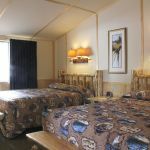 Located behind the lodge are 186 cabins with private baths are available in recently renovated Western and Frontier styles as well as the basic Pioneer cabins. 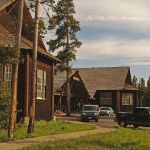 Lake Lodge is open from early June through the end of September. 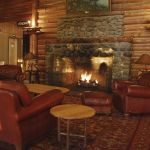 The main lodge houses a delightful lobby where two fireplaces, a lounge and gift store warmly beckon guests to linger and chat. Units built in modules of four or six. 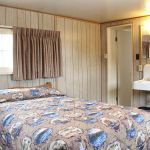 Each cabin is spacious and modernly furnished two queen beds with private bathrooms equipped with shower or tub/shower, toilet and sink. Typically includes two beds. 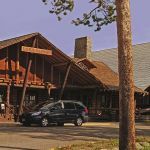 Televisions, radios, and air conditioning are not available in park lodging. Simple and plain multi-plex units built in the 1920’s but recently renovated. 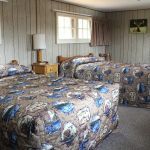 Furnished with one or two double beds, bathrooms include shower, toilet and sink. 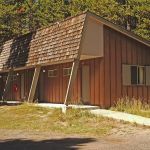 Televisions, radios, and air conditioning are not available in park lodging. Historic, simple and plain multi-plex units built in the 1920’s. 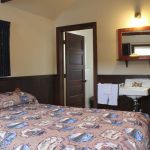 Furnished with one or two double beds, bathrooms include shower, toilet and sink. 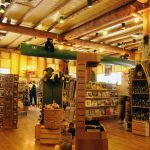 Coffee makers are not included in the cabins. 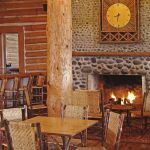 Televisions, radios, and air conditioning are not available in park lodging. Internet service is available in cafeteria for purchase. Rates: $4.95 per hour, $11.95 per day, $24.95 for three days.